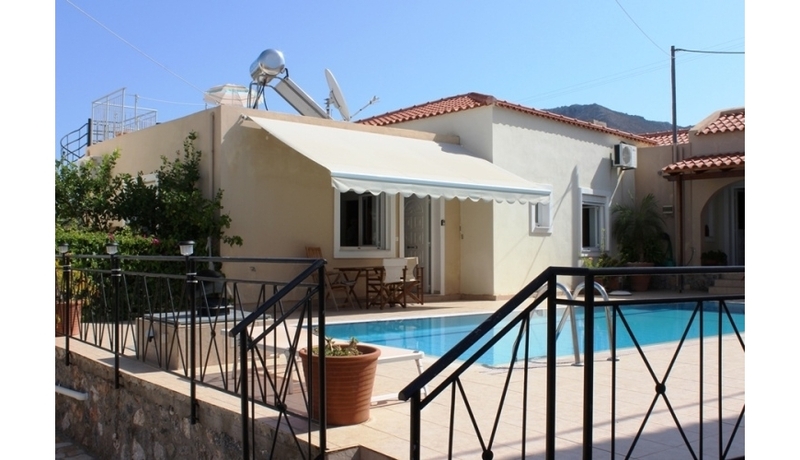 Lovely two bedroom and two bathroom single level villa in the heart of Plaka with large shared pool and private roof terrace. 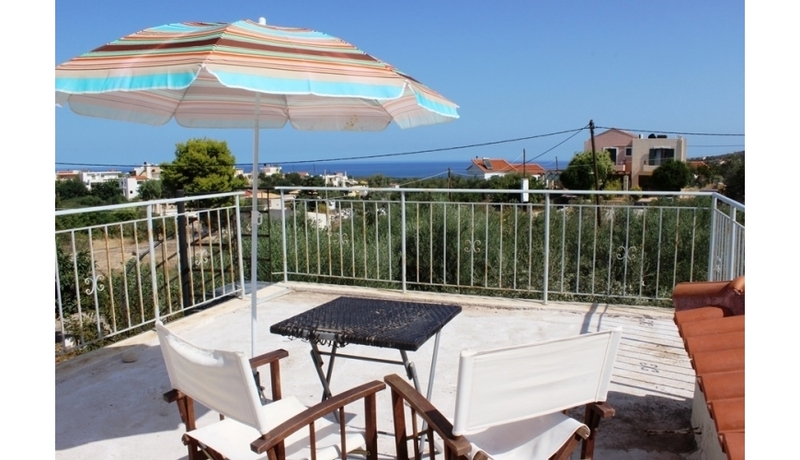 This extremely well positioned property is set in the heart of the lively ‘year round’ village of Plaka. 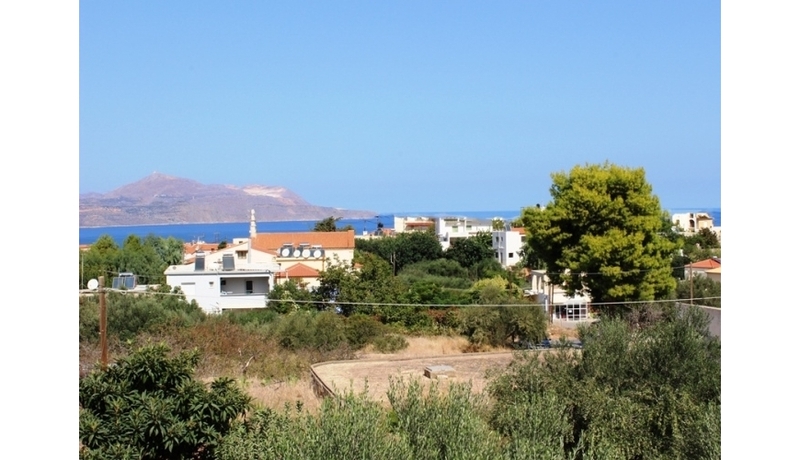 Sat looking towards Souda Bay it has great sea views across the village from the private roof terrace. 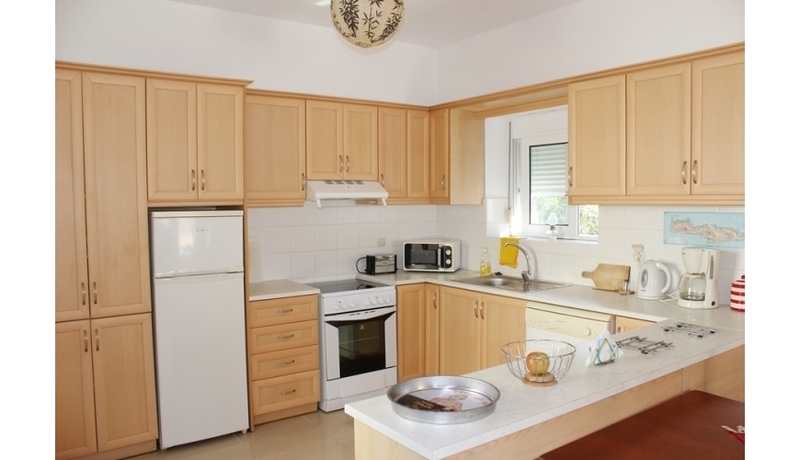 The lovely property is perfect as both a holiday home and for full time living. 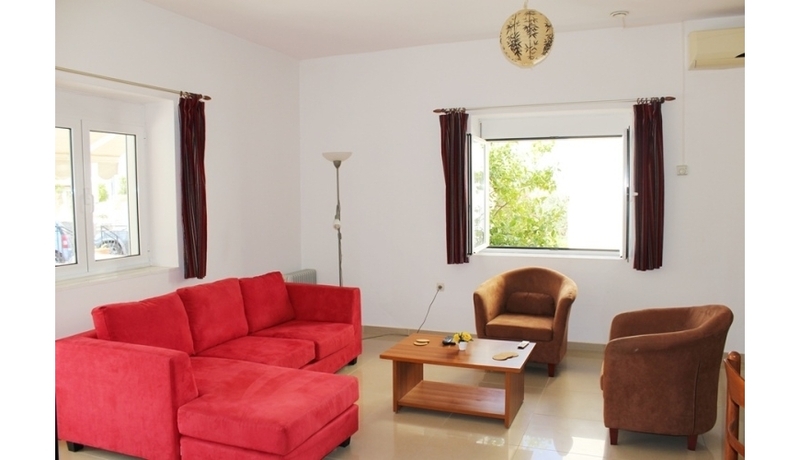 The rear door leads from here through a small terrace and up a spiral staircase to the private roof terrace with its seating area and panoramic views of the sea and Souda bay. 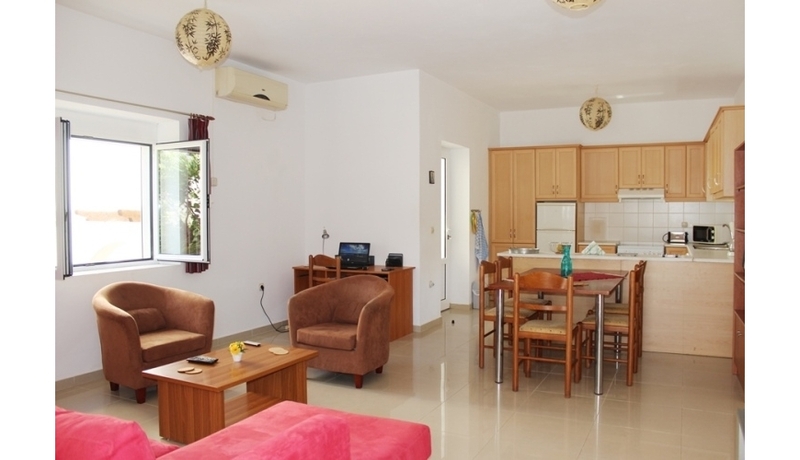 Leading through a short hallway, the villa has 2 very good sized double bedrooms. 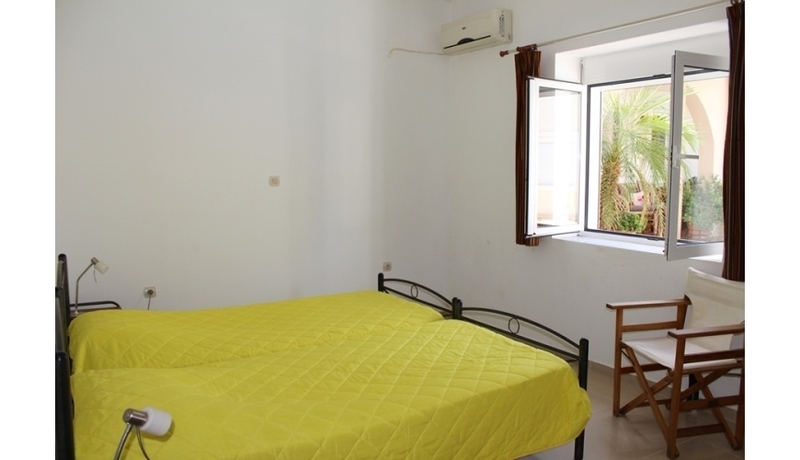 One bedroom has its own private outdoor terrace and the other has an en-suite shower room. 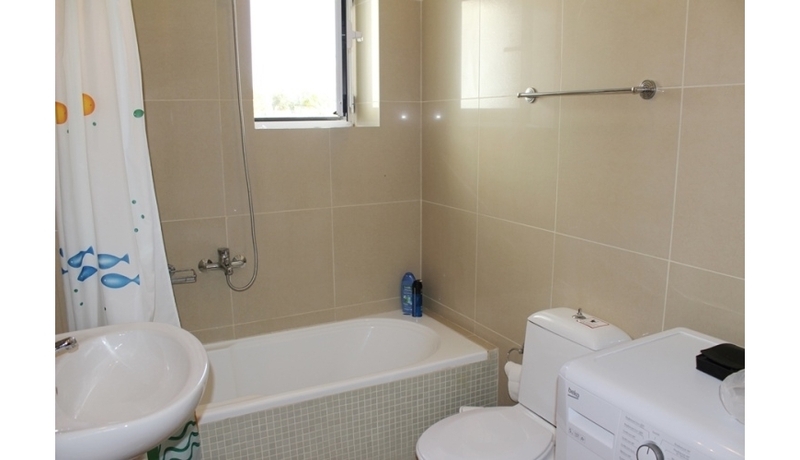 The main bathroom has a full bath and shower and also houses the washing machine. 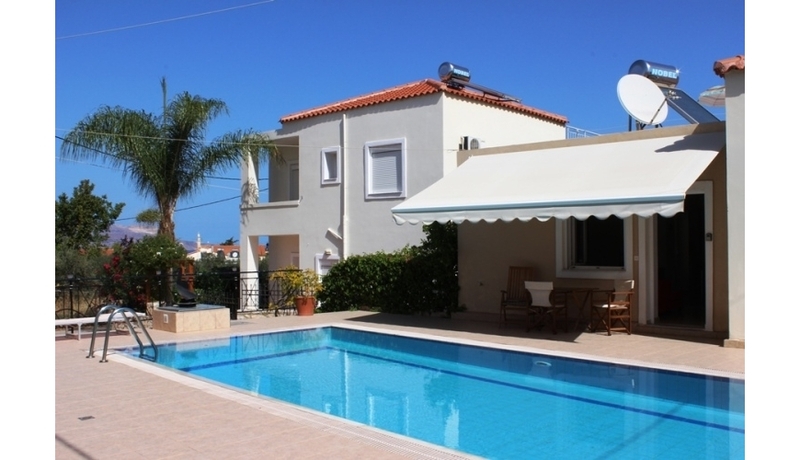 The villa has a further covered seating area to the front leading to the pool and surrounding terraces. The 5 villas have steps leading to a large off road parking area and the swimming pool has ample terraces around for soaking up the sun. What's the result of one times one?